Six eager fishermen descended onto Astove’s flats with bootlaces tight, all the desired kit and the mindset of accomplishing personal goals they had set for themselves leading up to this trip. The week started with neap tides with very little water movement meaning lengthy sessions in the surf and very rewarding lagoon opportunities. 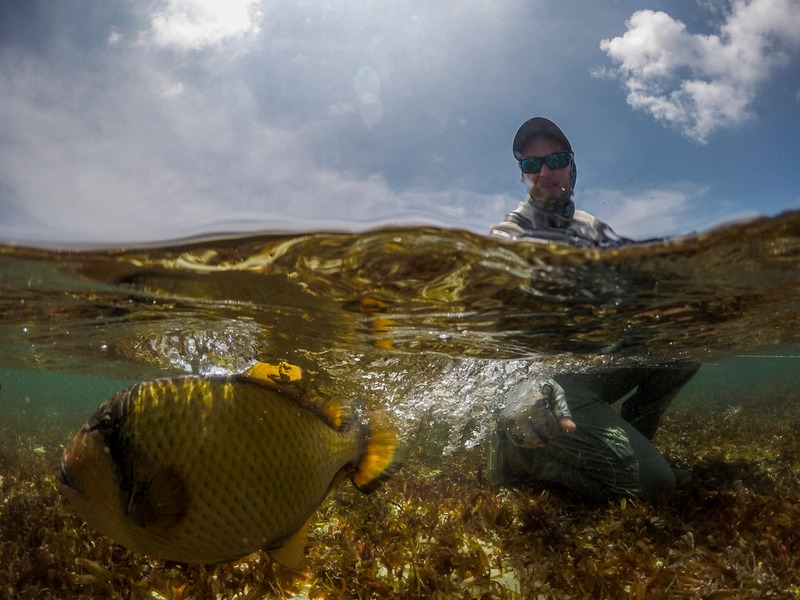 Nearing the end of the week we began to receive our spring phase of tides making for exceptional surf walks to target Giant Trevalleys, triggerfish, and Astove’s infamous supersized bonefish. 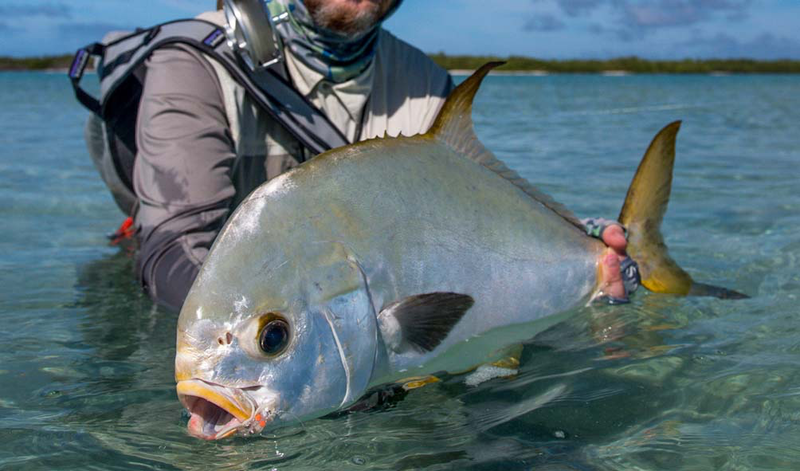 Day one did not upset when lady angler Elena Kirillova executed a ‘Super Grand Slam’ with one indo-pacific permit, one mustache triggerfish, one GT, and a handful of bonefish. 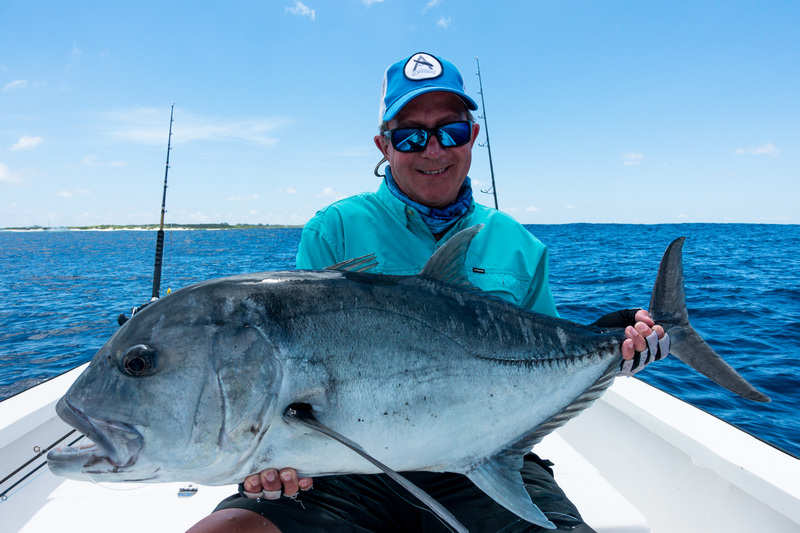 Robert Gilchrist set out on a different mission outside the lagoon to find what lurked in the deep blue and managed two dorado on the fly and a number of nice GT’s to hand. 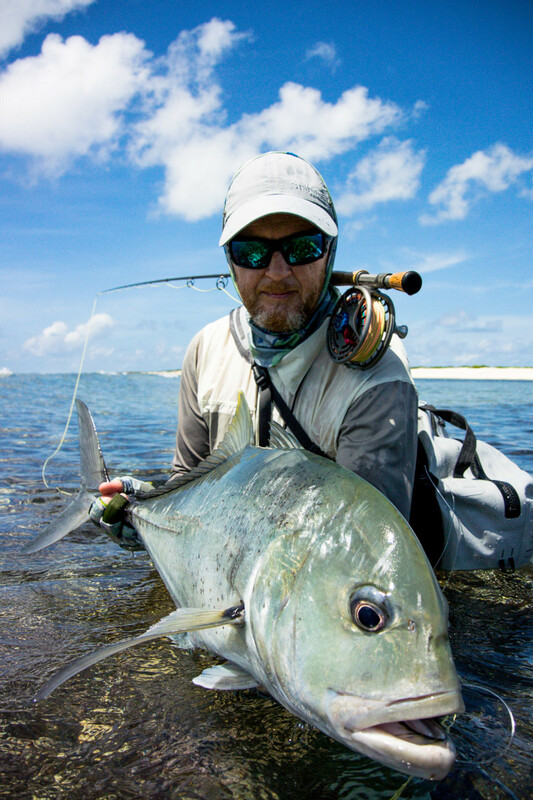 John Horlock treated himself to a ‘Flats Slam’ on day two with 4 GT’s, the largest at 97-centimeters, one mustache triggerfish, and epic session of catching tailing bones at Paulie’s Island during low tide. 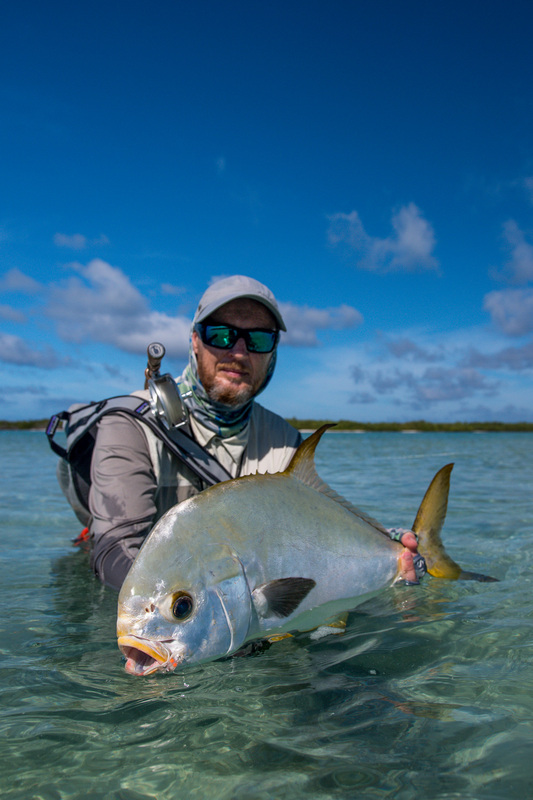 Oleg Veber found a gold nugget in the lagoon as day two neared its end by landing a wonderful 65-centimeters permit with head guide Kyle Reed. The strong winds continued to grow from the northwest, creating massive swell and surging waves onto the flats of the surf zone. 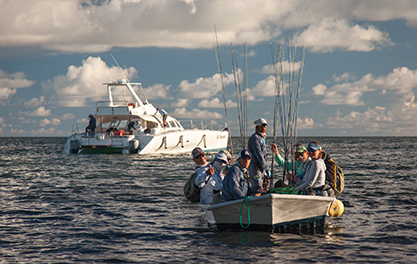 The final day was upon us and our anglers decided they were not going to give up easily. John set out to the east in the morning with the hopes of fishing GT’s and it did not disappoint. 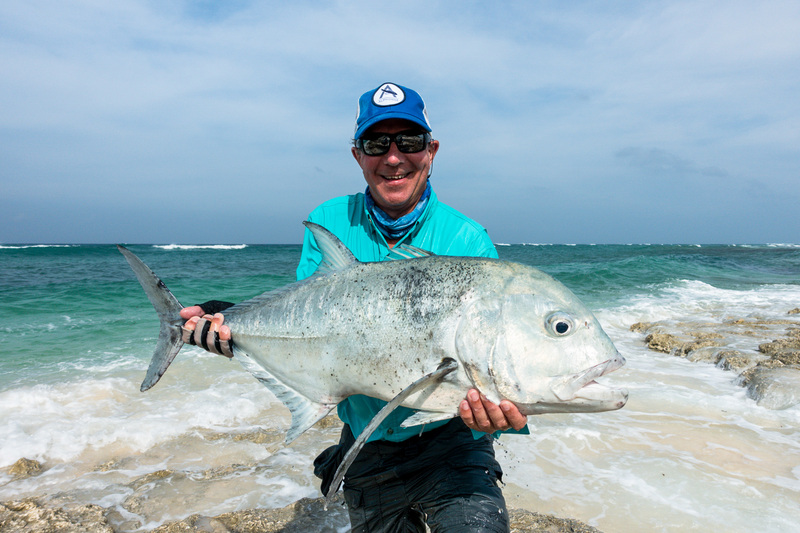 Landing four GT’s, one triggerfish and a few bones, John completed his second ‘Flats Slam’ of the week. Oleg also came out on top with a ‘Flats Slam’ on the last day with a nice GT on the flats, a triggerfish, and a number of nice bonefish from the surf. 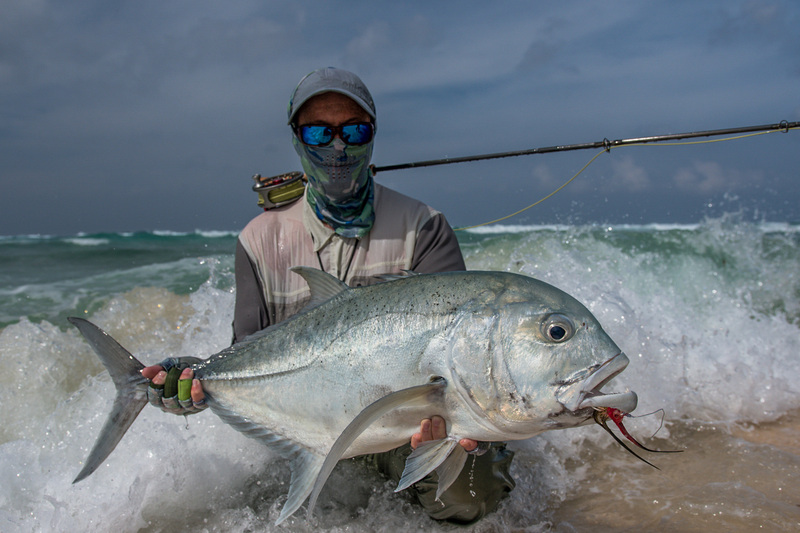 Despite the trying weather the results speak for themselves with a respectable 48 GT’s, four moustache triggerfish, 2 Indo-Pacific permit, 180 bonefish and 2 dorado, between 6 anglers.